Brace yourselves for a country double header!! 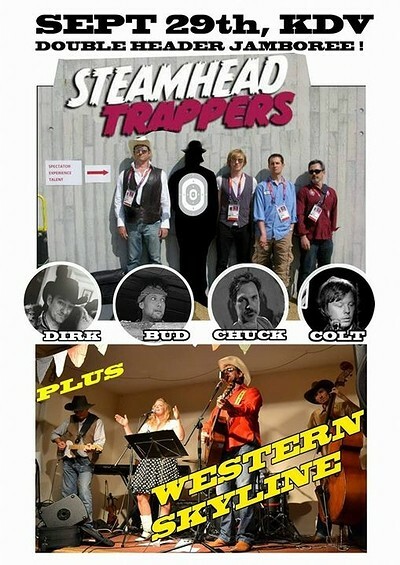 Straight up country from "Western Skyline" paving the way for the slightly less tame "Steamhead Trappers" who will unleash the Cosmic Country. Roadhouse Swing, Texas Shuffle! !